Do you find that you’re missing emails that should be going to your inbox but are ending up in your junk folder instead? 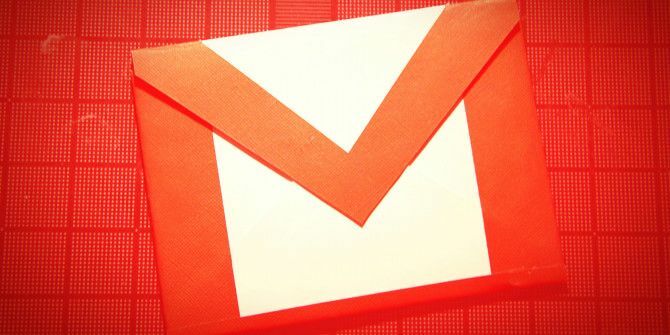 If you use Gmail, these are the steps to whitelist any email address so you can be sure not to miss important emails. Open your Gmail inbox in a browser and go to Settings > Filters and Blocked Addresses. Scroll down to the bottom of the page and click Create new filter. You can create an individual filter per email, as they come up. For an individual email address, simply type that address in the “From” field. If you want to ensure that all emails from any given domain name reach your inbox, you can whitelist that domain. If you want to whitelist all emails from MakeUseOf email addresses, for example, you would just put @makeuseof.com in the “From” field. Let’s say you want to whitelist multiple addresses but they aren’t from the same domain, you can simply enter each address separated by the operator OR. So for example, hello@hello.com OR hello@gmail.com. Once you’ve filled in the From field, click the Create filter with this search. Next make sure that Never sent to spam, and click the blue Create filter button. Do you have any useful tips for making sure your messages don’t end up in the spam folder? Let us know in the comments. Explore more about: Email Tips, Whitelist. I have an 11 year old niece. It would be nice for her to be able to ONLY get email from immediate family instead of being exposed to anything and possibly everything the internet can throw at her. Why is it seemingly not possible to easily block all incoming email except a handful of addresses of immediate family? Hi, PD. Outlook.com has a that feature. My BofA monthly statement ALWAYS goes into the SPAM folder. I've been marking it "Not Spam" every time for like a year now and it still goes to the SPAM folder. I need to try this!